Bayer Korea said Friday that 2018 was another year of robust growth for its pharmaceuticals division in the Asia/Pacific region. In 2018, the region’s sales grew 7.3 percent to over 5.2 billion euros. Many of the region’s markets delivered strong growth rates in 2018, including Australia (7 percent), South Korea (7 percent), Taiwan (9 percent), China (16 percent), Philippines (20 percent), and Indonesia (22 percent). Such performances led to the eighth consecutive year of growth for Bayer Pharmaceuticals’ sales in Asia-Pacific region since 2011. The region contributed more than 30 percent to the division’s global sales and continued to be the fastest growing reporting region for Bayer’s pharmaceutical business. According to IQVIA, a global health research firm, Bayer’s pharmaceutical business again ranked as one of the fastest growing amongst top multinational pharmaceutical companies in Asia-Pacific in 2018. “Our strong performance year after year speaks to the strong demand for our innovative medicines as they deliver significant benefits to patients battling serious diseases such as cardiovascular diseases, cancer, and eye diseases related to aging and diabetes,” said Claus Zieler, senior vice president and head of commercial operations at Bayer Pharmaceuticals Division Asia-Pacific. The company will continue to bring new and better treatments to patients in the region and build more collaboration with external partners here, Zieler added. 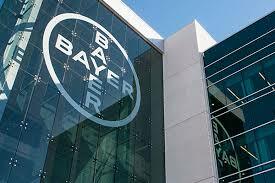 In 2019, Bayer plans to grow its global pharmaceuticals sales by about 4 percent. The company added that the outlook for the Asia-Pacific region remains positive, as IQVIA projects an average growth rate of 3.6 percent in the pharmaceutical markets across the region from 2019 to 2022. The company also invested heavily in R&D in 2018. Bayer invested about 3 billion euros in research and development of new pharmaceuticals globally. Bayer has about 50 development projects in phases 1 to 3 of clinical development, and among these projects, many might have the potential to treat various types of cancers, diabetic kidney disease, and chronic heart failure. The Asia-Pacific region is strongly represented in such clinical development activities and real-world studies. In 2018, there were 54 ongoing clinical trials and 69 real-world studies in the area. Bayer plans to continue to expand its collaboration activities in the region, which range from strategic research alliances with the medical and scientific communities to open innovation platforms involving entrepreneurs, startups and the wider public.